So I haven’t written a diet tip for a while, but because I’m trying to loose weight again, I thought I would! 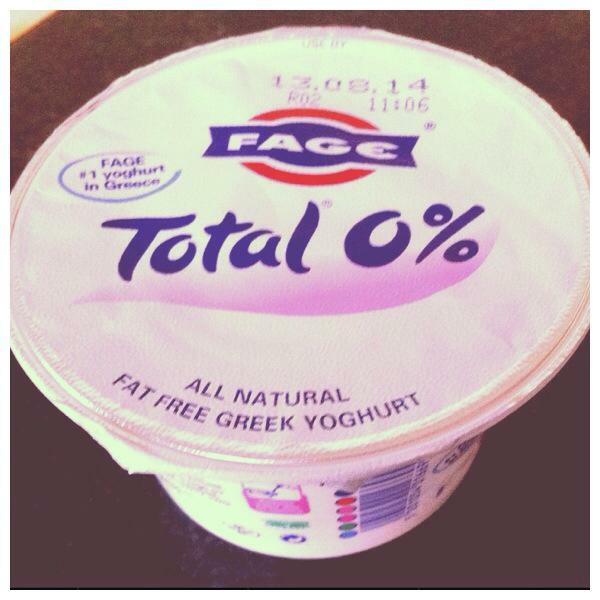 Basically, Fage Total O% Fat Free Greek Yoghurt was a revelation the first time I tried it. Unlike normal yoghurts, it has a really thick texture, instead of runny, so it feels you up a lot more. It is also packed with protein (10.3g per 100g), which again makes you feel full and aids weight loss. Also, as it says on the label, it is completely fat free! It also tastes great and is extremely versatile. I often have it for dessert at lunch or dinner with fruit like I did today. You could also have it for breakfast, on its own or with some oats and honey ormake it a healthy, but fun treat for kids by adding sprinkles to it. You can buy the yoghurt in 170g (£1.00) or 500g pots (£2.39). As a nation, we are becoming more aware about our health and the food that we eat. Considering incidents such as the horse meat scandal, people want to know what is going in their food and that it is good for them. 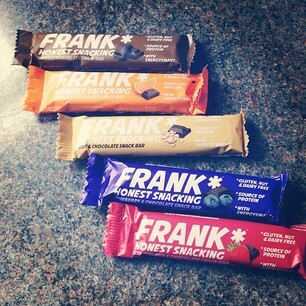 This is why I was so delighted when Frank food company contacted me about trying their new snack bars. These healthy treats are gluten, nut and dairy free, are suitable for vegans and are a source of protein. They also contain no ‘nasties’ – with the main ingredient dried fruit – so they basically couldn’t be more healthy if they tried. As well as this, they come in an array of yummy flavours – ‘Double Chocolate’, ‘Orange & Chocolate’, ‘Oat & Chocolate, Blueberry & Chocolate’ and Strawberry & Chocolate’. As you can see, these all contain chocolate, which definitely pleased me, considering what a chocoholic I am. But so they actually taste nice? Honestly my answer is yes. Considering this is my first vegan product that I’ve tried, I was extremely pleasantly surprised. Considering it is made from all healthy ingredients, it still feels like a treat. It also is a nice to not feel overwhelmed with sugar whilst eating a snack and have something that is more wholesome, but still tasty. I would have to say that the ‘Blueberry & Chocolate’ ones are my favourite. To be honest, I didn’t think this flavour would work very well, but I was pleasantly surprised about how the two mixed and finished the bar in record time! When it comes to the texture of the bars, I would say they a far more like a chocolate bar than a cereal bar because they are soft and crumbly whilst still being firm. With huge celebrities, such as Beyonce, now endorsing the vegan trend, it makes products like these even more important for those who want to be healthy but still have a varied and tasty diet. You can buy the snack bars online at Frank food company’s website, as well as Asda and other stores which you can check on their stocklist page here. Let me know if you try the snack bars or similar products and what you think of them. It is definitely a thumbs up from me! So currently I am trying to be extremely healthy because for once in my life I actually do want a toned summer body, rather than squirming every time I have to go near a strappy top and a pair of shorts. This means that I am exercising every day – either a the gym or doing my exercise DVD at home. However, we all know that you can only burn so much off with exercise and that you have to eat right too. So, it’s time for the salads again! I know what you’re thinking, BORING. Believe me, when people used to say that they were eating salad for lunch, I would literally not understand how they managed to eat a whole plate. 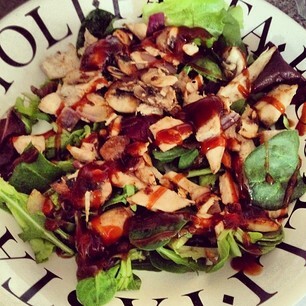 However, salads don’t have to be boring! There are so many yummy ingredients out there now, that they can literally be once of the most exciting and tasty dishes out there. What you must watch out for though is that if you do start piling on too many things to your salad, it is going to be just as bad (if not worse) than having a plate of chips. Now I am a HUGE fan of mexican food fan, so I decided that my first salad in a while would have to incorporate this, which is why I went for BBQ chicken mexican fajita. First of all cut the chicken up into strips and then gently cook on a low heat using a few sprays on low-fat cooking spray oil. My favourite to use is Frylight’s sunflower oil verson. Once the strips have just started to cook, add in all of the other ingredients, plus a few more sprays of oil and gently turn until the ingredients starts to brown. Next sprinkle some of the fajita seasoning on. Don’t add too much though, otherwise the flavour will be overpowering. Turn this down to a low heat. Whilst the chicken and vegetables are finishing off prepare your salad. Italinan-style or baby leaf salad will come in a pre-washed bag, so there is no need to wash it again. Don’t use iceberg lettuce for this recipe, as it won’t have the same effect. You should then dress the salad with some vinegar, as well as a little sprinkle of salt. By now, the chicken & vegetables should be fully cooked. Just place a typical serving onto the salad and t zig-zag on some of the barbeque sauce (my favourite sauce to use is Hp’s Barbecue Classic Woodsmoke Sauce). And there you have it – your yummy and healthy meal is served! I wanted to be really healthy, so kept my salad quite plain. However, if you’re feeling a little more naughty or adventurous, you can also add a dollop of guacamole or creme fraiche to make your salad even more Mexican. Or why not try a few tortilla chips too – these can be crushed if you like. Also, you will notice in the picture of my salad that there are in actual fact no peppers. This is only because I thougjt I had some at home, but I didn’t (boo). I would definitely recommend including them though. Dum Dum Donuts: The new healthy donut! Rejoice! 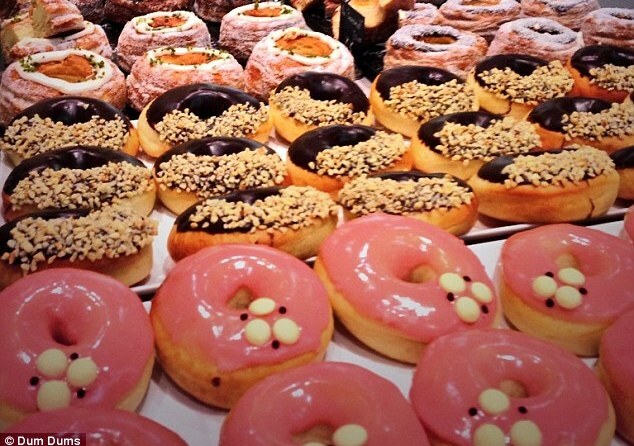 Hallelujah!… The world’s most healthiest donut has been created. British artisan chef Paul Hurley, the maker of Dum Dum Donuts, claims his sweet treats are extremely less fatty than a normal donut – containing just 6g of fat per donut, compared to the typical 18g. Hurley, who used to work for Dunkin’ Donuts, claims that he has been able to make his donuts healthier, due to the fact that they are baked and not deep fried. The donuts come in a range of tempting flavours, including Kroconut (coconut cream and chocolate ganache), Almond Cream & Pistachio, Banoffee, Chocolate and Raspberry. They are also healthy kronuts (croissant/donuts) on offer too! Currently Dum Dum donuts has a pop-up Donutterie at Westfield Stratford City shopping centre until Sunday (February 9), however it will be opening its own venue at Box Park, in Shoreditch, east London, from February 25, according to bakeryinfo.co.uk. Mmm I can’t wait to try one! (Guilt-free). Diet Tip #2: Cut out the diet coke! Following on my last diet tip post about what you should eat, this post is all about what you shouldn’t have if you want to stay trim. I used to think diet coke was a saint. No calories, tastes nice & fills you up because of the bubbles = skinny bod right? Well… it may not add inches to your waist instantly, however it could in the long-run. I used to religiously glug diet coke at all hours of the day. As a mid-morning pick-me-up, after lunch, when I got home from work, hell even at 9am in the morning some time. I couldn’t get enough of the stuff. Obviously I heard that it isn’t great for you because all of the additives & stuff, but I thought that if it wasn’t affecting my waistline, why did it matter? 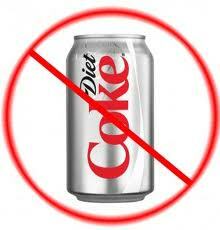 So, coming from me, the world’s biggest ex diet coke addict, let me tell you now… STOP DRINKING IT. I decided that it was going to be my new year’s resolution to cut out the stuff – and guess what? I actually did! Yep, ever since that clock midnight on the 1st Jan 2014 I have been staying away from the fizzy stuff. And why was this? Well I knew I was drinking too much of the stuff and hearing that it was bad, I decided I wanted to try swapping to other drinks such as water or fruit juice. Within about a week I had tons more energy and I mean tons. I was waking up brighter, getting everywhere on time instead of ten minutes late and feeling a lot more energetic. This made me a lot more happier as I was achieving things and being productive. Feeling less tired also meant I was less likely to snack and more likely to get on that treadmill! I’ve been keeping it up for the last two months and honestly it feels great. I would honestly recommend it to anyone as it’s so worthwhile in my opinion and has had a big beneficial impact on my health. Let me know if you’re a religious fan of coke, whether you’ve tried quitting – I would love to hear your feedback!